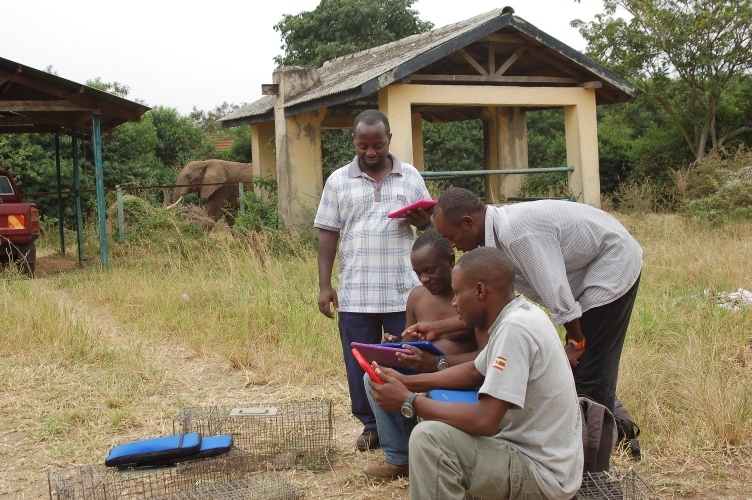 Mongoose 2000 version 2 is now being used in the Banded Mongoose Research Project Fieldsite on the Mweya Peninsula, in the Queen Elizabeth National Park, western Uganda. We’ve added two new focal observations – where a single mongoose in a specific life stage is followed, and has it’s activity recorded for 20 minutes. These observations include different events that can happen (fighting or cooperating with other individuals etc). 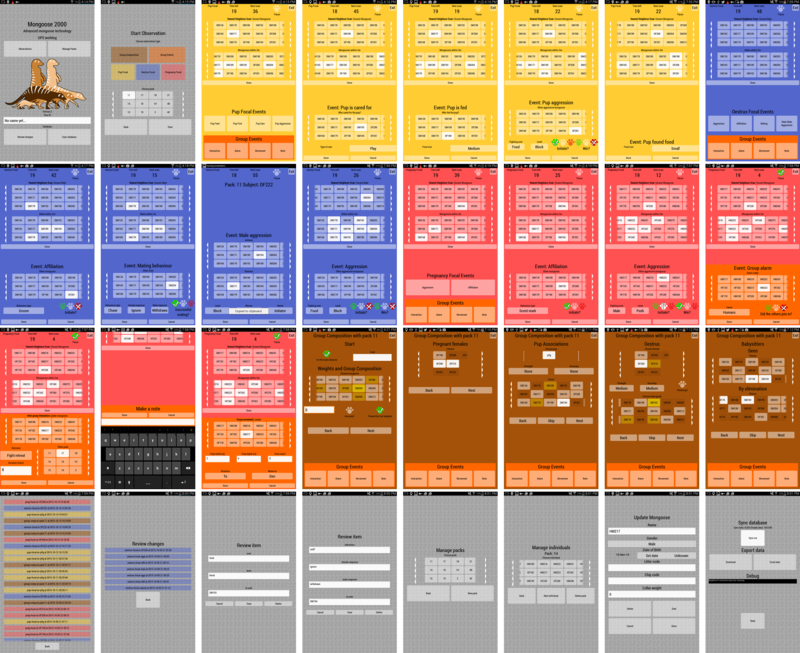 Nearly all the interfaces are shown below – the system includes adding new packs or individuals, data review and syncronisation with other tablets via the Raspberry Pi. One of our most ambitious projects: Mongoose 2000, is now up and running after 6 months of testing. 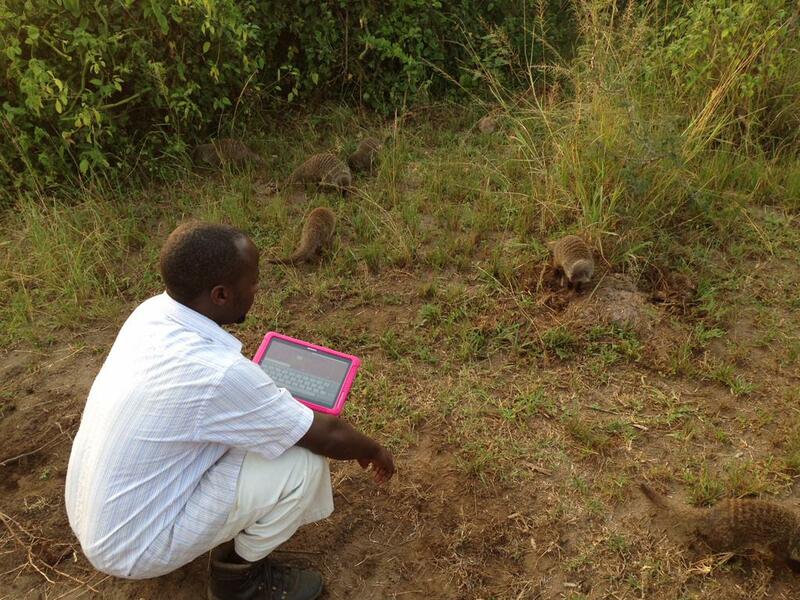 This is a Raspberry Pi and Android tablet system to synchronise and store masses of data for a long running behavioral experiment recording the activities of packs of mongooses in the field site in Uganda. 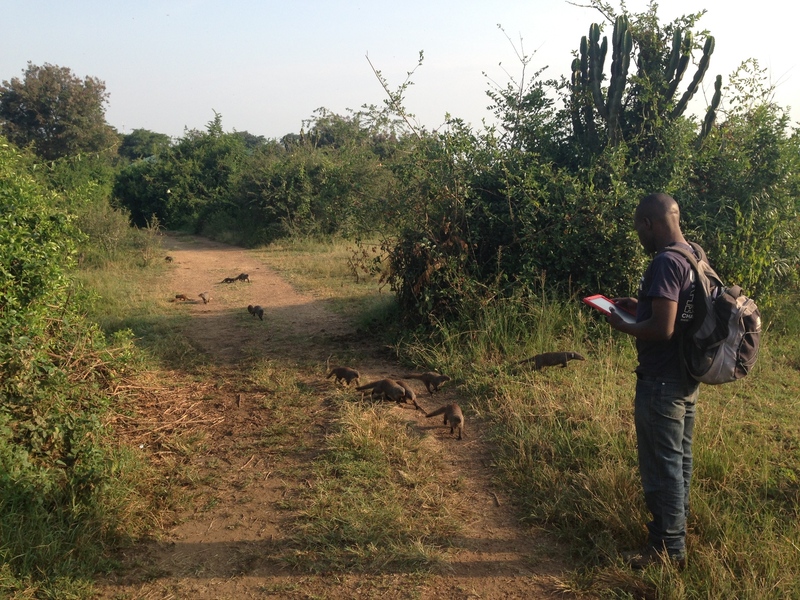 They broad aims of the project are to study mongoose behaviour in order to understand the evolution of society. Open source software: means that Foam Kernow are not a bottle neck to continued development, as we do not have exclusive control over the source code (which is released into the commons). New developers can be found if required (for whatever reason) who do not need to start from nothing – this gives the research team more control and future proofing. Use of commodity hardware: it’s likely that the hardware in use will become obsolete in this timeframe. The lifespan of android software should mean it can be installed on compatible devices for a long time, and the team can make use of advances in sensor or battery technology. The raspberry pi we are using is already an older model now, but as it’s a standard linux setup we can easily move it to other machines in the future. Currently it acts as an ‘appliance’ which just needs to be turned on, but we can add a web interface to control it from the tablet – or eventually replace it with a peer to peer syncronisation system. 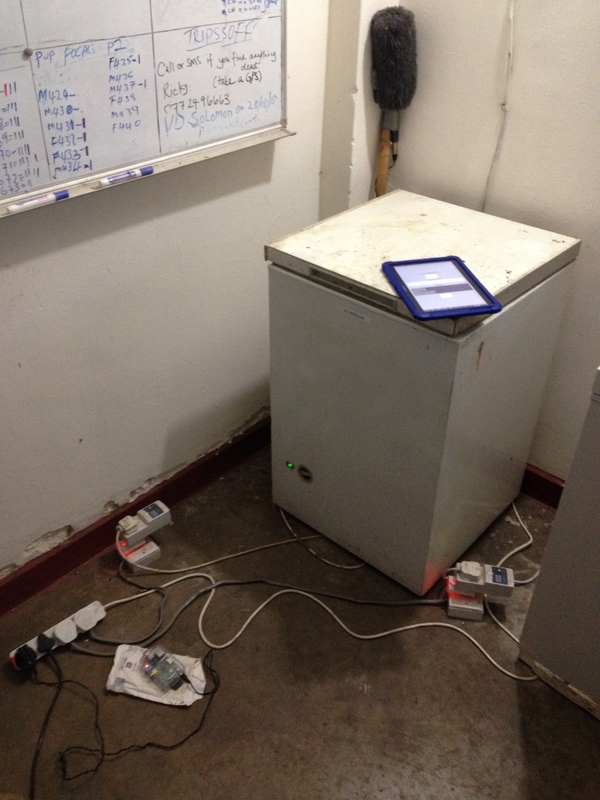 The Ugandans working on the project have an healthy DIY relationship with technology, they expect to be able to repair or modify things themselves, and I’d like to figure out ways we can work with this more. The UAV toolkit project provides some indication of what can be done with programming these kinds of devices in the field. Part of the decisions on the hardware (and the design of the software, e.g. using a scheme interpreter) were to use devices that were open to a more end-user programming approach in the future. Mongoose 2000 is a system I’m developing for the Banded Mongoose Research Project. It’s a behavioural recording system for use in remote areas with sporadic internet or power. 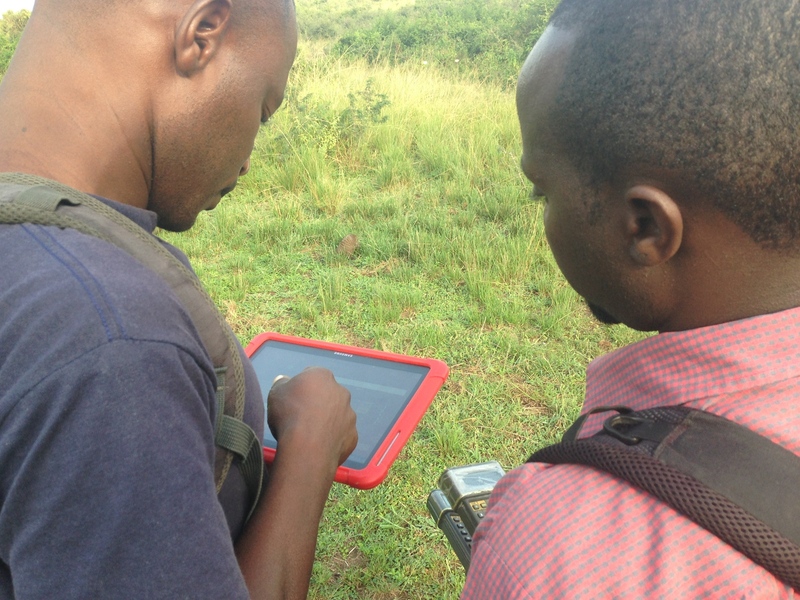 The project field site is located in Uganda in the countryside and it needs to run for long time frames, so there are big challenges when it comes to setting up the system and debugging it remotely. Pack composition: including presence in the pack, individual weights and pregnancy state. Pup focal: studies of individual pups, who’s feeding them, when they feed themselves or playing. Group events: warning calls, moving locations, fights with other packs. The interface design on the tablets is very important – things may happen quickly, often at the same time (for instance group events happening while a pup focal observation is being carried out), so we need multiple simultaneous things on screen, and the priority has to be on responsiveness and speed rather than initial ease of use. For these reasons it has similarities to live music performance interfaces. 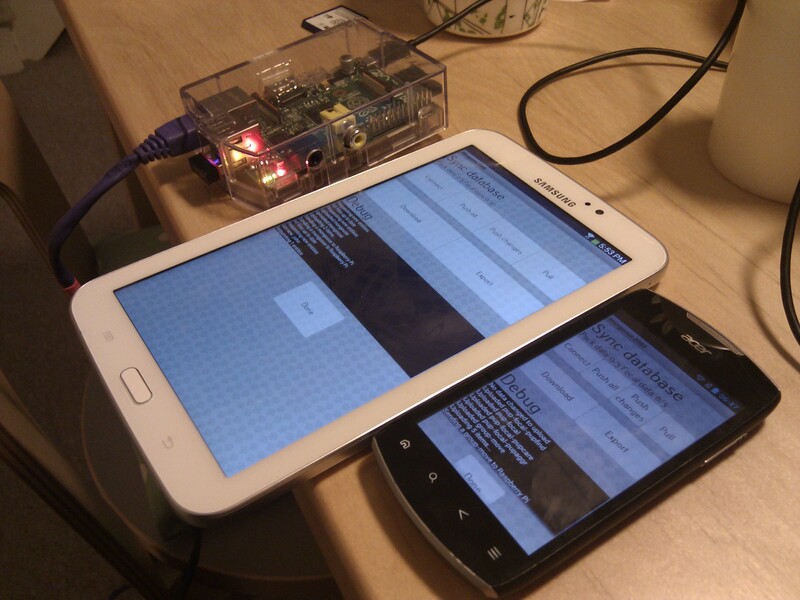 We can also take advantage of the storage on the tablets to duplicate data on the Raspberry Pi to add redundancy. 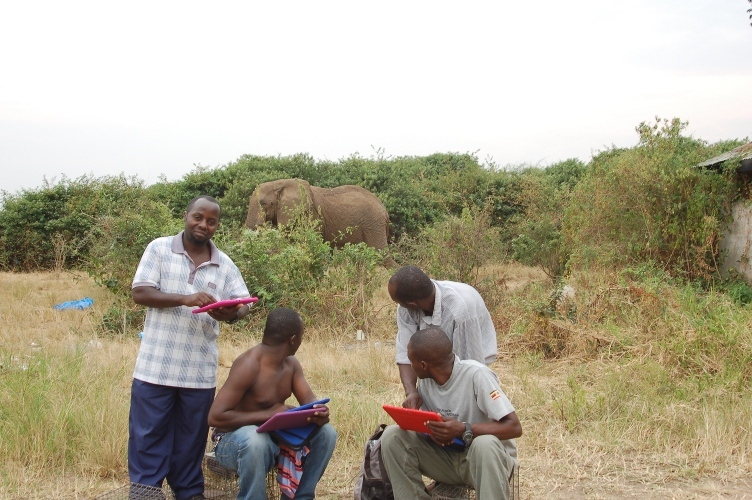 Data is transferred from the field site by downloading the entire database onto the Android tablets, which can then be emailed using the normal internet, either when it’s working locally or by taking the tablets into the nearby town where bandwidth is better. The project is a mix of cheap, replaceable hardware and mature well used software – Raspberry Pi’s mean we can afford a backup or two on site, along with plenty of replacement sdcards with the OS cloned. 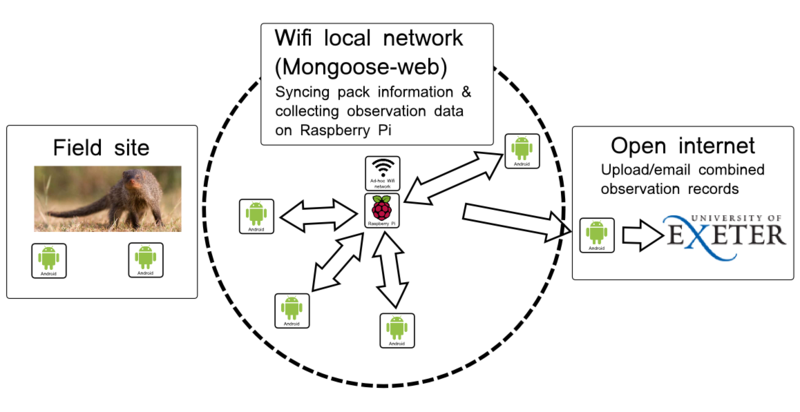 The observation software can also be updated over the Android play store (for bug fixes, or changing the data gathered) without any changes required on the Raspberry Pi. The platform is based on the one I built for the ‘Crap App’ along with experimental stuff I was doing with bike mounted wifi nodes with Kaffe Matthews, and includes SQLite for the underlying database on both platforms (providing atomic writes and journalling) and TinyScheme for Android and Racket for the Raspberry Pi allowing me to share a lot of the code between the hardware platforms.